The Story...I took this image to a recent Arts and Crafts Festival; well pretty much everyone that walked by stopped to look at it...always brought out much smiling and comments! 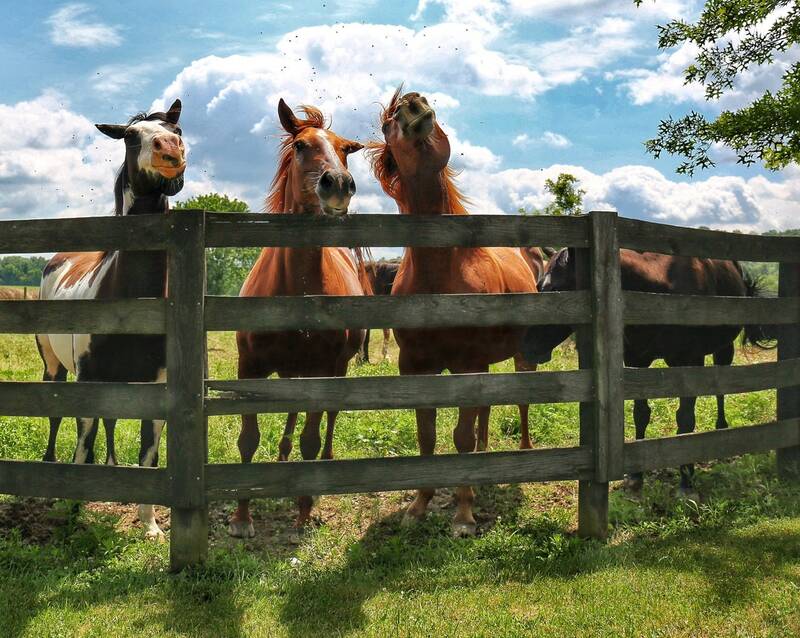 Anyway, an initial quick glance at these horses leads one to think that three of the horses are "goofing" around, and the photographer was lucky enough to catch a special moment among them. But...after studying the pic for a moment you will see the culprit for the "supposed" shenanigans; it's the flies above the horse's heads! Apparently, they were all shaking their heads to relieve themselves of the onslaught of the flies that are just above them. Mean ole flies!!! Pic taken Spring 2018.